Unbelievable but true: As early as the 19th century, the first cyclists were on the road. The evolution of bicycles as a means of transport and as sports equipment in the following decades is unbelievable and the innovation of bike manufacturers remains as strong as ever. The Tour de France began to popularise road bike racing as early as 1903, but mountain bikes only appeared 75 years later. And thanks to ever lighter and more stable components as well as technical innovations such as shift gears, suspension forks, disc brakes and full suspension, countless types of bikes have become available for tours, terrain, freeriding, downhill, cyclocross and many other disciplines. Today, a bicycle is a means of transport in the city, sometimes a high-performance training device and often the expression of a certain lifestyle and attitude. As well as bicycles for town, school, uni and everyday use, there are two main schools of cyvling which concentrate on the sporting aspect of the discipline. Both road bikes and mountain bikes are now available in countless designs and types - always specially optimised and adapted to the respective discipline. The number of materials, geometries, components and technical details seems almost inexhaustible. And the appropriate accessories such as bicycle clothing, maintenance tools and care products leave no stone unturned. 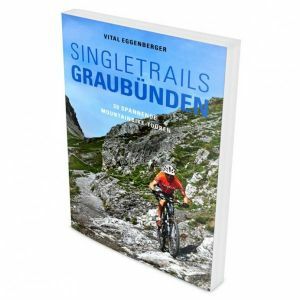 Not just MTB - Enduro, freeriding, Trail and Downhill! The list of the different types of mountain bikes is long. To summarise simply, mountain bikes need at least one suspension fork for simple terrain and a sprung rear triangle for steeper and faster routes with large rocks and roots. All bicycles can be split into hardtail or full suspension. For freeriding, enduro and downhill MTB, increasingly larger spring travels, larger brake discs and more stable frames are all options - dependent on the load. While straight downhill bikes were initially extremely heavy, the weight can now be greatly reduced with modern materials. For example, many bicycle manufacturers such as Ghost, Santa Cruz and Pivot use ultralight carbon fibre for frames and attachments such as handlebars or seat posts. Carbon is also more and more popular with many mountain bikers thanks to its positive handling characteristics. Aluminium is still also often used in bicycles. Due to the enormous stability of the bike frames and the low weight, new possibilities for even more demanding trails and even higher jumps are opened up in MTB. Depending on the bike and the rider, not only the individual tuning of the bike changes, but also the additional equipment with special bike parts and the matching cycling clothing. Brakes, brake discs and brake pads must be the right size to be able to withstand the loads of the respective discipline. That means brake discs need to be larger for downhill and smaller for touring. Handlebars are available in several materials, shapes and widths. Together with the right stem, they have a big influence over the riding behaviour of the bike. Downhill handlebars are often wider than trail handlebars. Short stems make the MTB more manoeuvrable - long stems tend to be ride more smoothly. Cycling clothing is specially designed for its area of use. Baggy shorts or MTB shorts with a downhill jersey and downhill shoes are popular outfits for freeriders and downhill mountain bikers and are often in high-demand in downhill and enduro shops. With Maloja, IXS, GORE Bike Wear and many other brands, We have a huge selection of cycling clothing. Cycling gloves protect the hands from wind, weather and injury and should be carried on every MTB tour. 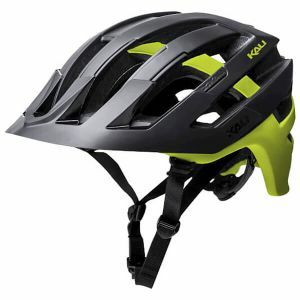 Bike helmets are indispensable for mountain bikers. Whether it's a well-ventilated freeriding helmet or a full-face helmet for downhill or the bike park, depends on the rider. Pedals for MTB are usually platform pedals, but for MTB racing and touring, some mountain bikers prefer click pedals. Protectors aren't just important in bike parks. For downhill, back protectors and elbow protectors have long been standard, but on trails and in freeriding, knee and shinbone guards are becoming increasingly popular. Tires are an important topic for mountain bikers. Depending on whether the route will go through deep mud or rough gravel, different MTB tires are used to ensure optimum grip at all times. There are folding tires, clincher tires, tubular tires and tubeless tires, which are constantly being further developed with different rubber mixtures and shapes. No less complex is the choice of correct tire pressure - our guide for the correct air pressure in mountain bikes helps here. Saddles are not necessarily sporty or comfortable. A high-quality bike saddle should be both. Size, weight and taste all play a role in the biker's decision. In the field of road racing, too, carbon is an integral part of a high-quality machine. Bike manufacturers like Ridley or Ghost impressively prove that not it's not just frames that can be made of carbon but almost all other bike components, such as wheels and handlebars. For optimal power transmission, nearly all road bikers use click pedals. The special cycling shoes are equipped with pedal plates or cleats, so that the bike and rider are in perfect union. Road bike tyres are usually ridden with a very high tire pressure to minimise the friction surface. Road bike clothing is more aerodynamic than that of mountain bikers and tightly fitting bib shorts with padding are perfect to ensure optimum freedom of movement on long and fast rides. In our racing bike shop, road bikers and cyclocrossers can find a huge selection of road racing clothing. Do It Yourself is the motto of passionate cyclists! Instead of getting a complete bike and having any repairs and maintenance carried out by a specialist, the toolbox is unpacked and opened. Since there's some calculation involved, we've developed an easy to use bike calculator. With just a few clicks you can calculate the right spoke length for your wheel (with instructions for working it out) or the perfect chain length. For new builds, the right frame height is a big consideration, while the question of optimum tire pressure must always be thought about.